In my monthly "In Good Faith" column I talk about the theological implications of Easter egg hunts (sort of) and why Holy Week is so awesome. Blessings to you all during these next Three Great Days. 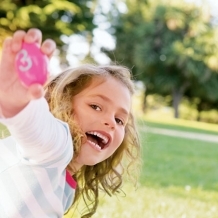 Most kids can’t imagine Easter Day without an Easter egg hunt. I used to love the adrenaline-pumping thrill of the hunt -- and that was just last year. Actually we do hold an annual Easter egg hunt at St. John’s following our 9:00 am Family Service on Easter Day. A few parents organize it with help from some eager teens – which means I occasionally stumble on unfound eggs in mid-August. There’s no better reminder of the resurrection than encountering a gooey four-month old melted mixture of chocolate bunny and purple jelly beans inside a plastic egg. This week Christians throughout the world will be marking the events surrounding the death and resurrection of Jesus Christ. The liturgies of Holy Week allow us to fully participate in this, not as passive observers but as active participants. For the stories of this week are our stories; the drama is our drama; the victory is our victory. But we must be fully engaged in order to be fully transformed. You can't experience the breadth of Easter joy without first experiencing the agony of the cross, or at least reflecting upon it. Otherwise you end up crashing from the sugar high – as if Easter morning was spent downing Peep after Peep with no genuine sustenance in sight. Which sounds dandy until the inevitable crash. Wherever you worship this year, I encourage you to embrace the Christian “High Holy Days:” Maundy (Holy) Thursday, Good Friday, and the Easter Vigil as we move from the Upper Room for the Last Supper to the Crucifixion to Resurrection. At St. John’s we offer evening services at 7:30 pm on all those days as well as liturgies specifically geared toward children (in particular our 4:00 pm Children’s Good Friday service). Of course we also have services on Easter Sunday at St. John’s -- three of them to be precise. So consider this an invitation -- to my own church or any church this week. You won’t be disappointed and your faith will surely be deepened along the way. I know how difficult it can be to enter the doors of a church for the first time. “Will they be annoyingly hard sell? Will I be smothered with pleasantries? Will I know what to do? Will they make me stand up and introduce myself?” But I bid you to overcome the feelings of vulnerability and uncertainty. You'll be glad you did and there is no better time of year to “try out” a new church. Know that you'll be warmly welcomed and never judged for kneeling at the wrong time. Wherever or however you worship this year, I wish you a very blessed Easter. Beautifully said! " we must be fully engaged in order to be fully transformed."